A little back story to the festival. I got a similar story while talking to my co teacher about this festival. 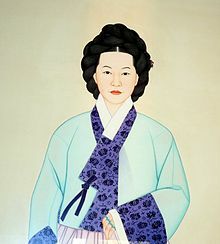 She mentioned that during this invasion the Japanese soldiers would take company with Gisaeng (Korean women entertainers.) One in particular Nongae, seduced the Japanese General while on a rock that over looks the Namgang river. 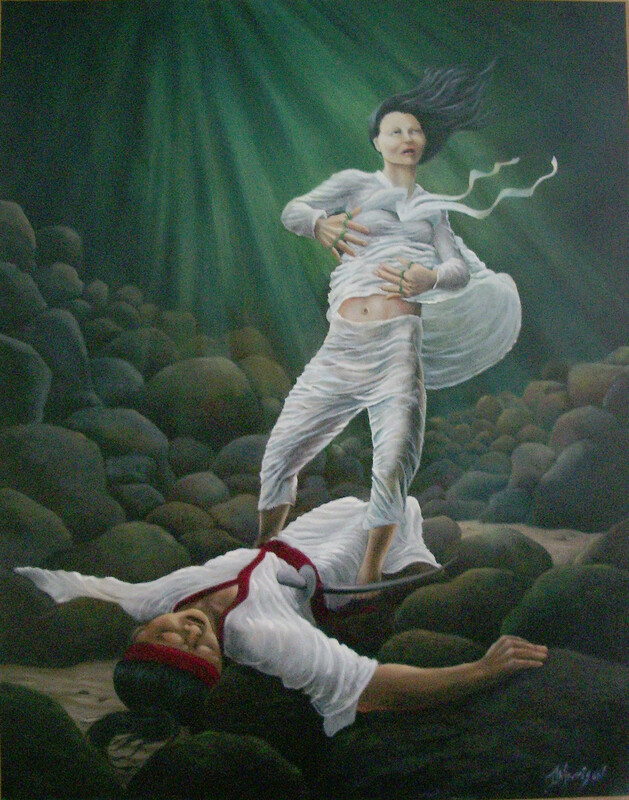 She attacked him and locked her fingers around his body and fell into the river- never letting go. She wanted to kill him but in return she sacrificed herself. Nongae. She was very respected and now there is a shrine with this picture on the cliff where her and general fell in the river. A painting of Nongae conquering the Japanese general. On Saturday we woke up early and walked to the bus terminal (thats right by my house!!!) and hopped a bus to JinJu for 8,700 won. Aside from the screaming baby next to me, the fact that we were sitting in the very back in the elevated seats I slept and it only took about 2 hours. The rest of the day was walking around the festival and visiting the national museum in JinJu. While we were inside the museum there was a sudden DOWN POUR! The rain was reminiscent of the rain we saw in Seoul the day before Chuseok (which i still haven’t blogged about…) It was crazy- people were coming from the woodwork to stand under the roof of the museum. After the museum, we walked across the Namgang river to walk under tunnels of lanterns that were lit up to represent 1 Korean soldier who had died during that invasion. We were able to make wishes and attach it to our “Year of the (insert here)” We are both Year of the Tiger so we found what looked liked like a tiger and found a good spot. It was a really great day and even though it got super rainy and muddy and my shoes are probably ruined- I’d recommend it!